The Kiwi kids’ mag with everything! 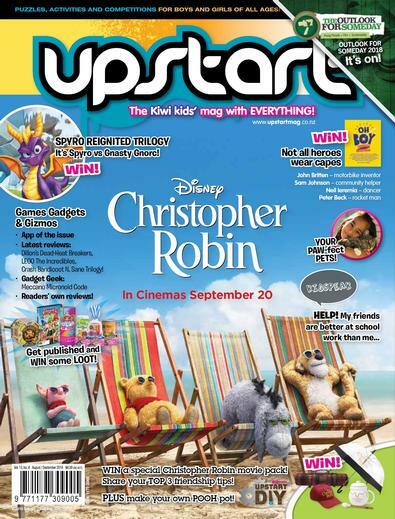 Packed with heaps of fun kids’ stuff – articles, interviews, kids’ letters and opinions, artwork and creative writing, music, video games, books, toys, puzzles, posters, sport – Upstart Magazine is the first Kiwi produced nationwide retail magazine for 7-13 year-olds. There are loads of cool competitions NZ kids can actually enter – and win! Produced bi-monthly, subscriptions cost just $30 for six editions. Suitable for boys and girls aged 5-13 years. This mag is a fresh new way for young kids to not only be entertained, but in an educational & creative way! This magazine is ok! It&apos;s great on advice and posters! It&apos;s also very colourful!